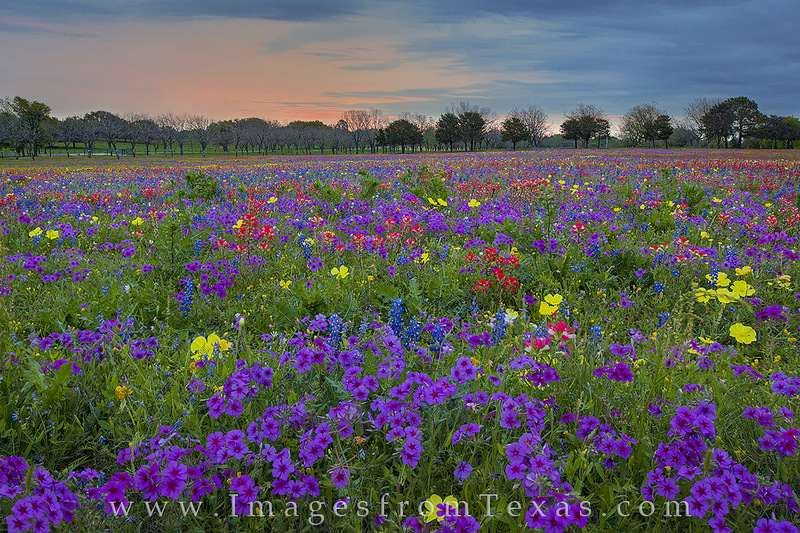 One of my favorite fields for Texas wildflowers - some of you may know the location - can sometimes offer an explosion of color. This collection of paintbrush, bluebonnets, verbena, phlox, and many others was taken on an early morning in April. Later on, as the sun neared the horizon, the sky would light up in orange and red, making this a beautiful morning to enjoy the colors of Texas. Photo © copyright by Rob Greebon.